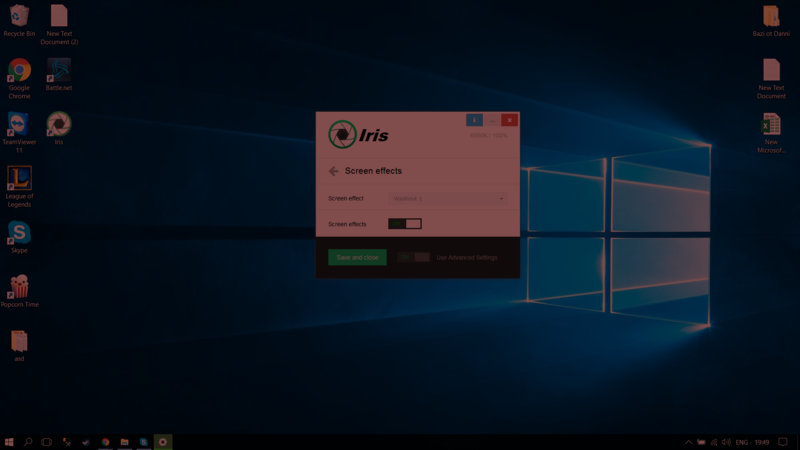 With Color Temperature you can lower the blue light, but with Screen effects you can apply more complex color effects to the screen. For example I frequently use my screen with Inverted colors or I made it Grayscale. Some effects can simulate color blindness while others are just cool. 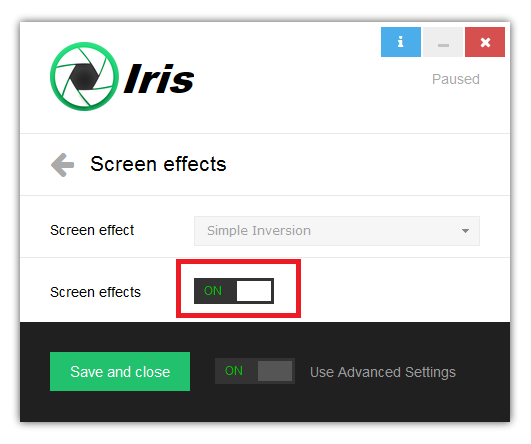 By clicking Screen effects checkbox you will enable Screen effects. 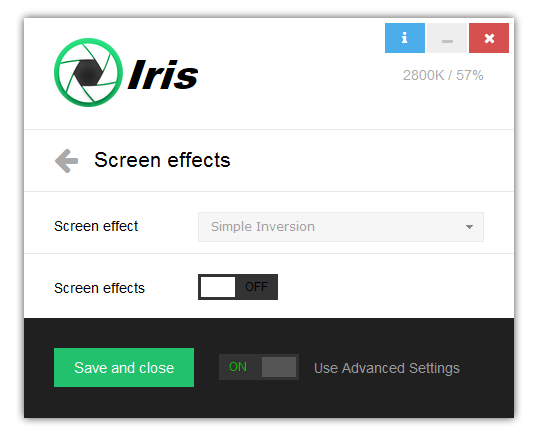 From the Screen effect dropdown you can select different Screen effects. Some of this effects are available only on Windows, because I’m still searching a way to make them on other OS like Mac OSX and Linux. 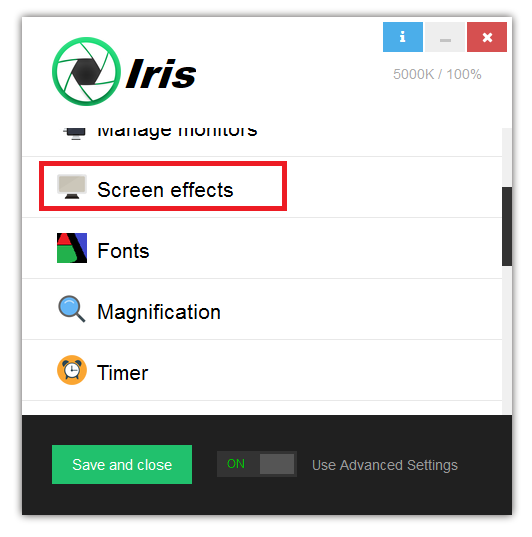 The most popular Screen effects are integrated in the free version of Iris as Reading, Sleep and other types. 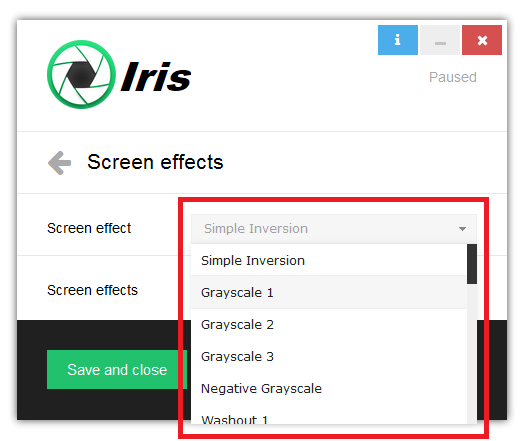 Could you add invert colors in iris micro?